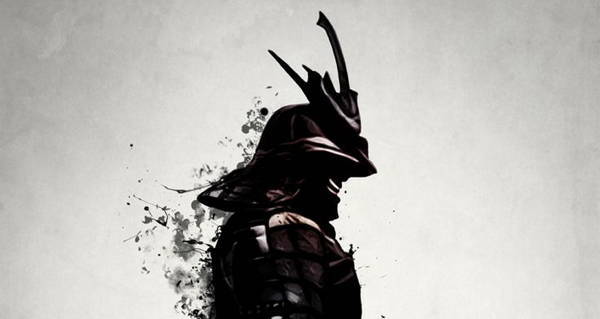 Yasuke the black samurai stood about a foot taller than his peers and was said to have the strength of ten men. Japan wasn't ready for what was about to hit them. Wikimedia CommonsWhile no confirmed renderings of Yasuke the black samurai exist, illustrations like this one, created by artists known to have had connections with Yasuke, may depict him. In the 16th century, Japan was internally divided and externally isolated. Split into provinces under the rule of various local feudal lords known as daimyōs, the island nation had remained relatively closed off to the outside world, until the Age of Exploration that brought European explorers to every corner of the globe brought a mix of fascinating new outsiders to Japan. The Portuguese were the first Europeans to arrive in Japan and they brought with them their language, religion, and their institution of slavery. Ripped from their homelands in Africa and sold into servitude aboard Portuguese ships, these slaves followed their new masters in their travels across the globe. One of these slaves taken to Japan eventually rose through the ranks to become a samurai and attain a position of the highest honor in his new home. This man is now known as Yasuke the black samurai. As is so often the case with slaves, little is known about the origins of Yasuke. He may have been from Mozambique before coming to Japan in the late 16th century in the company of a Jesuit missionary named Alessandro Valignano. This man was one of the first Europeans to bring Christianity to the Far East and the letters of his fellow Jesuit, Luis Frois, provide much of the written account of the extraordinary story of Yasuke the black samurai. Yasuke would have been one of the first Africans ever seen in Japan (and the first African samurai); Frois recounts how Yasuke’s appearance caused such a stir amongst the people that they broke down the door of the Jesuit residence just to catch a glimpse of him and that several people died during the ensuing ruckus. Word of this exotic, dark man eventually reached a daimyō who would change the entire course of Yasuke’s life. Lord Oda Nobunaga had a great interest in European culture; he extended his protection to the Jesuits and helped them build a church in Kyoto. He played an extremely important role in paving the way for the total unification of Japan and by the time of his death, nearly half the country’s provinces were under his control. When Yasuke was first presented to Nobunaga, he was described as a tall young man whose “strength surpassed that of ten men” and who stood more than six feet tall (a height at which he would have towered above most Japanese men at the time). The fascinated daimyō was convinced that the African’s skin must have been dyed by ink, so he ordered the slave to strip to his waist and scrub his body thoroughly. Then, although Yasuke was able to speak only a little Japanese, he greatly impressed Lord Nobunaga, who reportedly enjoyed talking with him. Wikimedia CommonsAnother rendering that may depict Yasuke. Nobunaga then brought the former slave into his service, granting him a sum of money, a house, and a katana. From that point on, Yasuke remained an important member of the daimyō’s retinue, loyally serving him as an honored samurai. He had gone from being a piece of Portuguese property to a member of the Japanese elite. 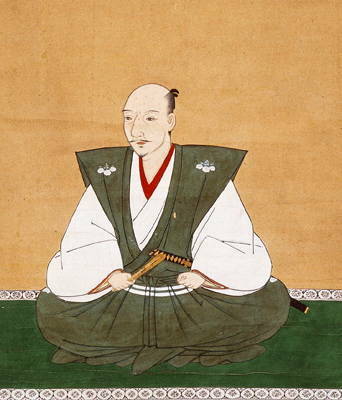 Nobunaga’s story came to an abrupt end in 1582 when he was betrayed by Akechi Mitsuhide, one of his associates. Yasuke reportedly fought bravely during the final confrontation, helping to defend his master’s castle from Mitsuhide’s forces. Ultimately, when a wounded Nobunaga saw that there was no escape, he committed seppuku rather than face surrender and dishonor. Yasuke battled on long after all was lost, before finally handing over his sword to the enemy’s men. Because he was not Japanese, he was spared death and sent back to the Jesuits, with whom he supposedly spent the rest of his days after making his mark on history. After this look at Yasuke the black samurai, read up on Onna-Bugeisha, Japan’s badass female samurai.